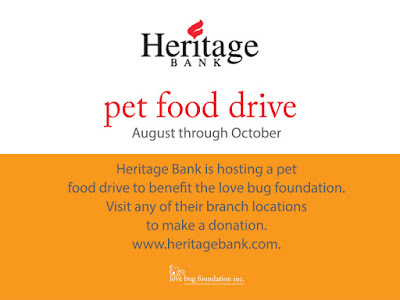 Heritage Bank hosting pet food drive | love bug foundation inc.
Heritage Bank will be hosting a pet food drive to benefit the love bug foundation from August through October 2015. 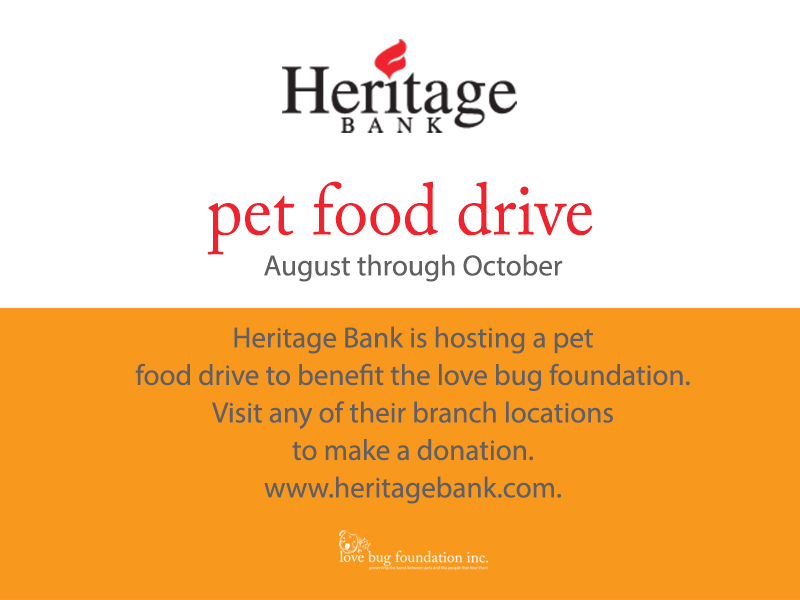 Donors can stop by any of the six Heritage Bank branch offices to drop off dog or cat food. We are very grateful to Heritage Bank for supporting us in our mission. Please visit their site to locate the branch most convenient for you: Heritage Bank - Locations and share a copy of this image on Facebook and Twitter. Thank you all in advance for your support, especially Heritage!! !